His nickname went from "Fat Pat" to "Possible Pat"
Pasquale “Pat” Brocco, 31, used to be all pudge, tipping the scales at 605 pounds. That was 3 years ago. These days, Brocco weighs half that, and his once-flabby arms are now bulging biceps. How’d he do it? He walked to Walmart whenever he got hungry. 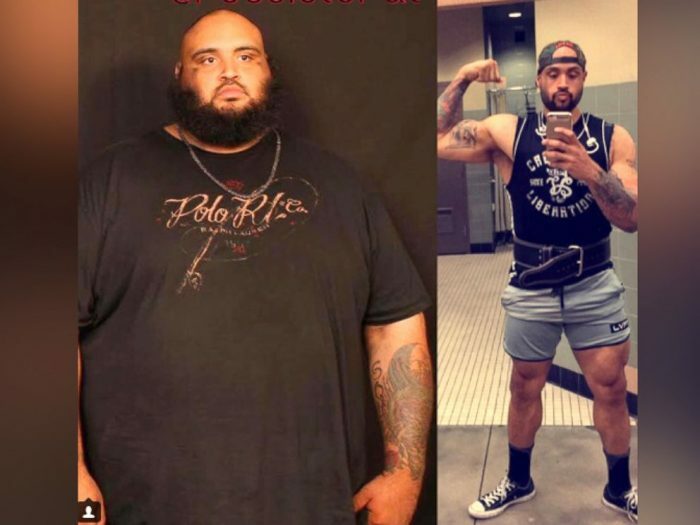 Soon he was walking to Walmart every day, eating healthy, and incorporating uphill treadmill walks and weightlifting into his routine, leading to an overall drop of 330 pounds.